Thurrock 100 2015 was a community walking festival that built on the success of the 2014 project Beat the Street. The project was commissioned by the Public Health team at Thurrock Council in collaboration with CVS, the 19 community forums and arts company Kinetika. 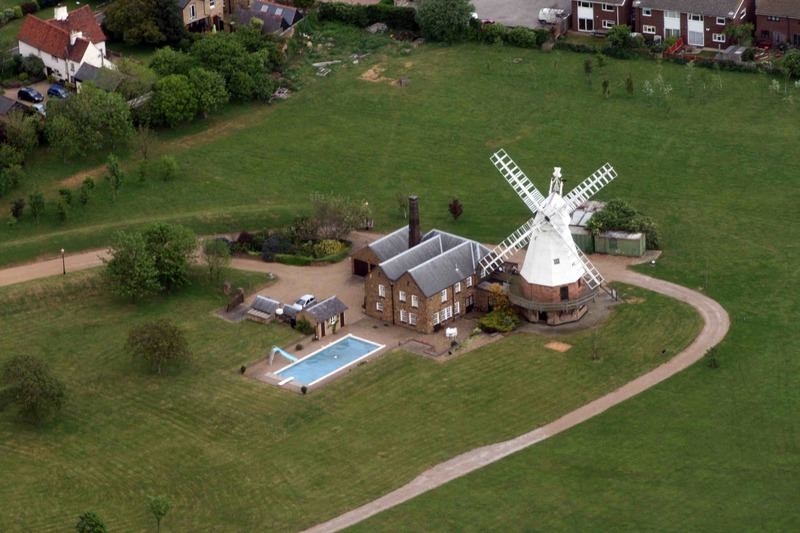 Working with the community forums and local volunteers, T100 mapped out 10 new 10-mile walks around Thurrock taking in some of the borough’s most interesting places, all of which can be found here and enjoyed at your leisure. 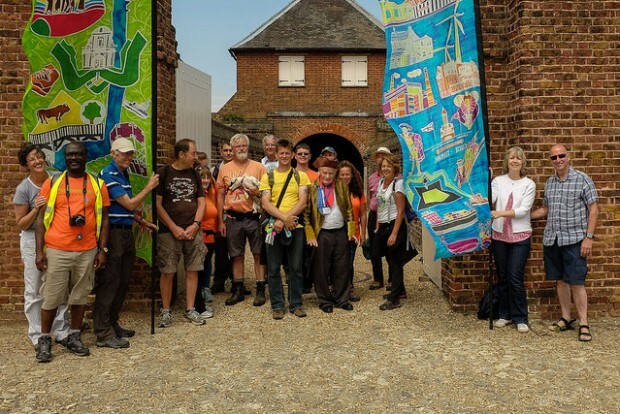 Artist Ali Pretty worked with local people and 9 schools to make 10 new 4m high silk flags, each of which was carried, Olympic torch style, on one of the walks. More than 1,500 people took part in the walks, including students from Gateway Academy, East Tilbury, Bulphan and Horndon primary schools, and individuals from 5 to 75 who walked distances ranging from half a mile to 100 miles over the ten days of the festival. On Saturday 18 July people from all over Thurrock gathered to walk the very last mile, with all 10 flags, processing through Grays town centre, accompanied by the Thurrock Marching Band before arriving at the new Village Beach festival on Grays Beach.